Japan is always an appealing destination for anything from a vacation to permanent residence and everything else in between. There simply seems to be nothing to not like: good food, people, economy, weather, and security. So how does marijuana fare in Japan? If you are thinking about bringing, selling, using or growing cannabis during your stay in the country, go over the quick guide to avoid being stuck in prison! At present, you are free to order cannabis seeds and cultivate in Japan if you are a licensed grower or researcher. The country has always been steadfast in pursuing scientific developments and includes weed as one of the substances it is exploring. There may be fees involved in requesting a permit to grow marijuana in Japan. Moreover, the government has a lot of documentary requirements and reviews each license request very thoroughly. Even the site where the plants are cultivated is thoroughly checked and evaluated as well. Each location has to be secure and positioned such that ordinary citizens, especially children, cannot easily access the plants. These are to ensure that whoever is applying to permits to cultivate cannabis are not going to use the plants for any illegal activity, which is discussed below. At this point, let us make it clear that only licensed cultivation, use, and possession of marijuana are allowed in Japan. Unlicensed use, sale, purchase, transfer, receipt, import, export, and cultivation are all illegal, regardless of purpose. This system began in 1930 when the Cannabis Control Law was developed. This law was subsequently modified in the 1940s and the 1960s, with the latter modification adding the abovementioned licensing system for qualified growers. It also added sanctions for unlicensed consumption and sale. Japanese penalties for crimes and offenses related to marijuana are not the toughest in the world. For instance, getting caught growing weed without a valid license can put you in jail for up to seven years. Meanwhile, unlawful possession, receipt, transfer, and similar offenses may land you a prison sentence of up to five years with hard labor. These pale in comparison with those in other countries. In Europe, there are numerous countries that are relatively open to the use of marijuana but have much worse sanctions. In some countries, jail time can be anywhere between 10 and 20 years, and fines are astronomical (even unlimited for certain weed offenses in the UK). However, what gives Japanese sanctions serious weight is not the punishment but the implementation. The Japanese are law-abiding citizens who have absolute respect for law and authority. Their incredibly and consistently low crime rates are in perfect congruence with their nearly 99% conviction rate. The Japanese police are not the only ones to look out for. Citizens are just as vigilant and would not think twice about reporting you, regardless of your nationality or resident status. You can say that Japan’s doors are about 90% closed against cannabis. Even medical marijuana has no place there right now. In fact, a health ministry official was recently quoted as saying that Japan does not acknowledge the widespread concept of medical marijuana. Officials, law enforcers, and ordinary citizens are not simply indifferent to the health benefits of cannabis. Everyone in Japan appears to be staunchly against the use of the herb. To the Japanese, cannabis is still the inherently harmful gateway drug that western countries believed it to be several decades ago. Recently, a former actress in Japan made headlines when she was arrested for alleged possession. The actress had been a firm medical marijuana supporter for a long time and had even tried to run for public office with a platform aimed at legalizing medical weed. Her arrest and incarceration momentarily rekindled discussions about the country’s stand on medical weed. Sadly, the perceptions of the Japanese government and the general public remain the same. Japan is not like “strict” western countries, wherein many citizens are bold and brazen enough to consume marijuana despite its illegal status and harsh sanctions. You will not find anything like that in Japan. 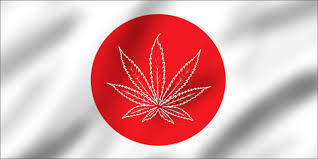 In fact, the compliance of the Japanese people to marijuana laws may even be bordering on paranoia. For reasons unknown, Japanese cops seem to be harder for local offenders than foreigners. If you are a tourist caught possessing, using, selling, and the like, the police will definitely give you a hard time and eventually deport you. If you are local, the authorities will not stop a conviction. You will be demonized, and your reputation will be ruined likely even before you are sentenced. In the case of the abovementioned actress who got busted for possession, her old works were taken off-screen in an effort to “scrub” her name off of TV. A licensed grower in Tottori Prefecture was arrested recently for unauthorized possession. As a result, authorities revoked all licenses in the entire prefecture. This is how serious the Japanese are about keeping the country completely free of marijuana and those who promote it. You can still score weed, especially in such areas as Roppongi and Shibuya, by approaching Middle Easterns standing by alleys and corners. You still have to exercise caution, though, because authorities are monitoring these areas and people. Hashish and weed are typically sold for between 4000 and 6000 yen, whereas high-quality hydro goes for up to 7000 yen. These figures are among the highest in Asia. Japan is a nightmare to weed lovers. The Japanese government maintains what is probably the most conservative stance regarding marijuana use today and ensures that citizens and tourists alike understand it. The penalties and sanctions are to be feared, but the compliance of the Japanese people is what will ultimately get you. Therefore, if planning to cultivate your own cannabis in Japan or hoping to buy some seeds from there, be extra careful and trust the right people.